1. Justin Timberlake, Can’t Stop the Feeling: J.T. is finally back to his old-school, “dance your pants off” music and the world is most grateful for that. See if you can resist a smile watching his video! 2. Meghan Trainer, No: All of those naysayers who claimed Meghan Trainer was an All About That Bass one-hit wonder are choking on their words now! The singer-songwriter keeps putting out hits like this catchy number that will make you want to push yourself harder through your workout. 4. Pink, Just like Fire: Yaass, Pink is back! This infectious tune is from the Alice Through the Looking Glass soundtrack and has her trademark “dig deep and take it to the next level” lyrics that will give your motivation a case of the feels. 5. Rihanna (featuring Drake), Work: Can you believe Rhianna has 14 No. 1 singles? Of course you can — because she is the greatest! If you need a little extra incentive to take it up a notch, try listening to this as you work those muscles into a higher gear. 6. The Strumbellas, Spirits: The Strumbellas are a Canadian band that describes its sound as “folk pop-grass,” and this song in particular has been gaining in popularity all year because of its infectious chorus and joyful beat. It’s the perfect cool-down song after an invigorating workout. 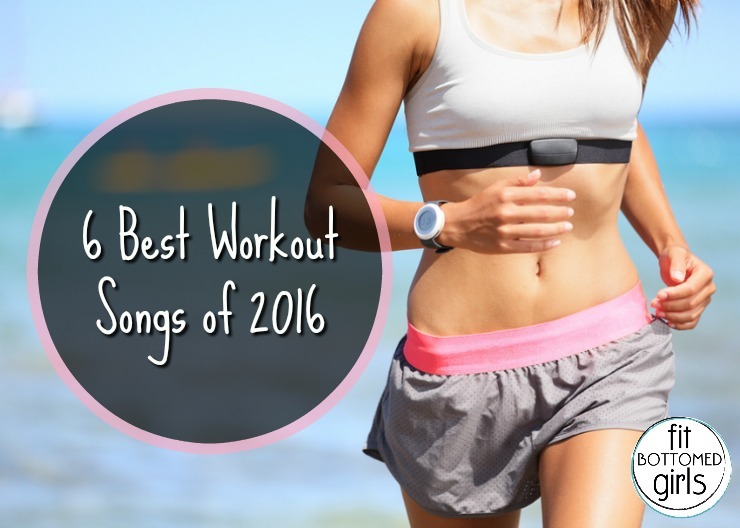 I am adding all of these to my workout playlist! Some of my favorites right now are: GDFR and I Took a Pill in Ibiza. Nothing like a good workout jam. I’d take David Guetta tracks and Michigan – Hold Up – definite heart pump right there! Never have been a fan of the heavy but bring the club life tot he gym and I’m there! Pink’s music is very powerful and motivating!